Property with hillsides, slopes, or expanses of uncovered dirt can be particularly vulnerable during a torrential downpour. If you haven't hired someone to take precautionary moves to protect your landscaping, or done it yourself, here are some ideas to help you get prepared. Is Winter a Good Time to Think About Landscaping Projects? While we're cozied up in front of a crackling fireplace or curled up with our favorite winter book on the iPad, making changes to our outdoor living spaces are usually pretty far from our thoughts. But - this is actually a great time to start thinking about landscaping. By and large, you can get substantially more for your home if your property is well designed and landscaped, and matches well with the theme of the home. But... we're not all moving. And the value that landscaping can add is not just financial, but rather incredibly personal - and less discussed. 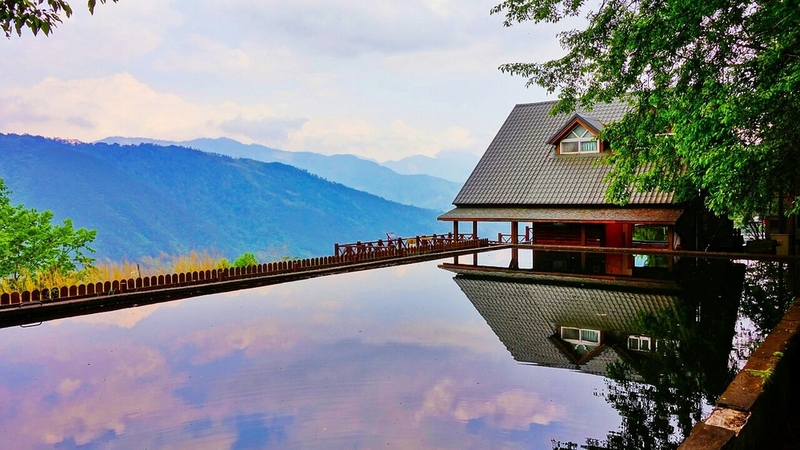 Can a Pool Be Eco-Friendly During Our California Drought? California pool owners are under increasing scrutiny right now, especially as our drought here intensifies. Many water districts are offering rebates for pool removal, and there are home owners who have decided that replacing their pool with other landscaping works for them. But, that's not the case for everyone. While some trees are definitely water hogs, there are options for low water trees (and some that even prefer drought conditions!) here in Northern California. There is something intoxicating about dinners outside, surrounded by the soft light of fire, candlelight, and twinkling lights. The hum of voices, laughter, and the clinking sound of cutlery and glass floating through the night air. It's magic, in a way. March 20 - It's almost here! Spring is around the corner, and for most of us the longer days serve as a reminder to get back outside and get that garden ready for Spring flowers and edibles. So we've created a checklist for you to help you get on your way this April. 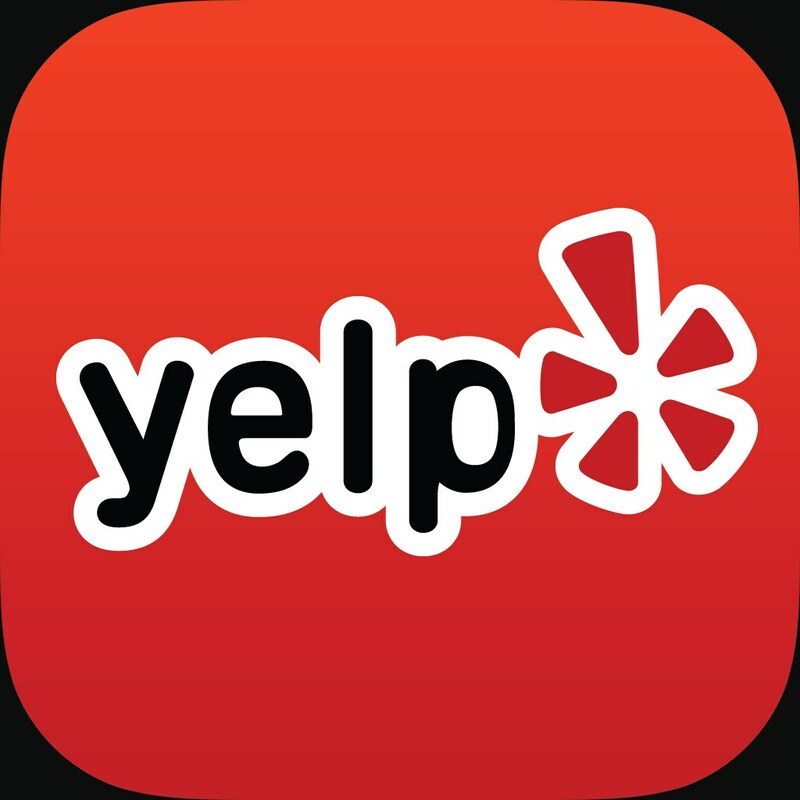 Whether you are looking for a small update or a complete overhaul it is still an investment, and we know that you want to get the most out of your dollar. One way of doing this is to make sure you don't fall into some very common and potentially costly mistakes! We've been hearing the term from time to time in our industry -- HGTV Disease -- and recently several of us at GLI Norcal were in the office trying to figure out precisely what that meant. We did a little search and talked to a few folks, and we seem to have an answer. And the really interesting part is that the concept far predates HGTV and the Internet. There are so many types of edging for your garden! Which is right for you? We're going to look at several types of edging: Plastic, Metal, Wood, Concrete, and Stone. While there are other types, these are the most common. If you have any questions about alternatives, leave a comment and we'll help you out. While it is still Winter, here in the Bay Area there is still plenty to to do in our gardens to keep them looking fabulous! Lets talk about best things you can do to maintain your garden, as well as several projects you can choose to do. Do you like pictures? Helpful planting tips? Tasty veggies? Then this post is the right place for you to be. Here we have an infographic that will help you choose which edibles to plant next month - just in time for delicious fresh vegetables for the holidays! We wanted to make a handy infographic to go along with our article 10 Quick Tips About Drought and Landscaping. Be sure to check it out if you are interested in additional details. Want to download a copy of the infographic to keep? Head down to the bottom of the page and click the link. While writing our next blog article, "What is HGTV Disease?," we noticed that while our topics of course focus on landscaping overall, the topics within the subject have been pretty broad. So, we thought it would be interesting to use Wordle and create a Word Cloud. It's amazing how a small project, just covering a portion of your property can make a massive difference. 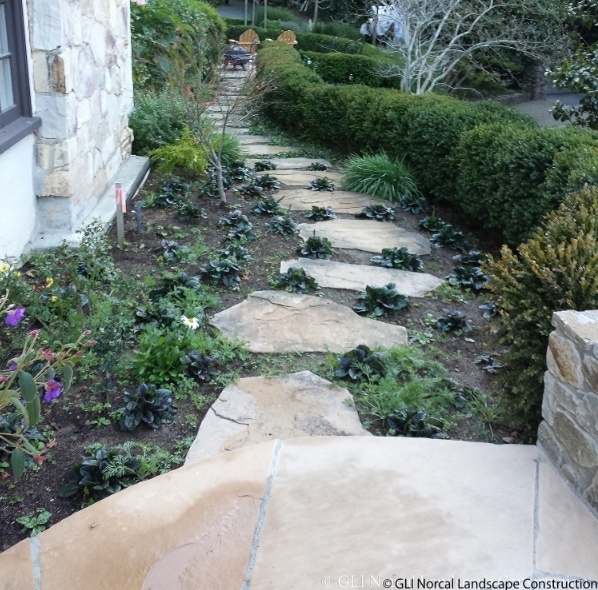 GLI Norcal Landscape Construction - Interviewed by BayAreaForSale.com! Interested in a New or Retrofitted Irrigation System? Click Here! Please note whether you are interested in a new system or to have your current system retrofitted. Thank you! Looking For Our Free Irrigation Checkup? Click Here! Even if today does turn into a rainstorm we have a long while yet before California has a replenished water system, which means we will all be taking the precautions that we can to limit the water we use. So, it seemed like a great time to share ten tips about landscaping and drought! We are huge fans of flagstone, and not just for paths and patios (though we love using flagstone there as well!). Flagstone also works well for creating seating areas, walls, and stone features. Since we are such admirers of this stone, and use it frequently in our Marin County and Bay Area projects, it seemed like a great idea to share with you the amazing advantages of flagstone. On New Years I found myself imagining life journeys as a series of paths that we see created in landscaping. Garden paths are a wonderful analogy for the eclectic treks that we take through life -- even though there can be rough patches, the look back always has a great deal of beauty.